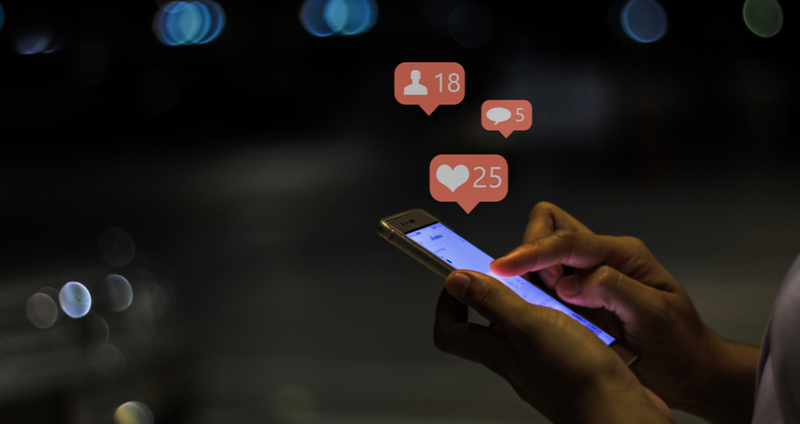 Social media is inextricably bound with both our personal and professional lives and whether we like it or not, it’s pretty much essential for any business in 2019. Your customers are accustomed to seeing social profiles with the latest updates and expect the same for yours. Yet many businesses we come across are still very reluctant to use social media as a marketing tool, often dabbling with it as a one-time event and being disappointed when the results don’t meet their expectations. However, taking full advantage of social networking sites can lead to better customer and partner relationships as well as more brand love, awareness and a return on your investments. So how can your business achieve this? We’ve created a list of the top tips you didn’t know you needed to boost your social media game. Kick the ball rolling on your social media posts with staff engagement. Making your account seem like a vibrant and interesting place to interact will encourage others to join the conversation too. Building trust is key to maintaining and growing your social following so let your followers see the faces behind the business! Whether it’s pictures of fun work trips or a day in the life of your company, adding a personable element to your business will add a lot of value to your profile and online reputation. This professional way of showing off your staff gives your customers an insight into what your company does and introduces the key people in your team. And just because it’s a corporate video, doesn’t mean you can’t have a little fun. Adding a little humour and showing the range of personalities within your team is more likely to portray a happy working environment which will make people believe in your services even more. To stand out in the competitive social climate, you need to get creative. People don’t go on social media to read content that sounds like something out of a textbook. Be topical, retweet relevant and interesting news, get involved with other social accounts, not only will this mix up your feed, but it’ll also draw more unique traffic to your account. Trending hashtags are riffled with interactions and engagement, whether it’s something specific to your industry or as simple as #MondayMood, it’s a great easy way to bring traffic to your profile and generate more leads. Social networking sites don’t just limit you to just 280 characters, well technically some do, but you can change the mundane routine of daily tweets by creating your own inspiring content. Why not try: video series, webinars, vlogs, polls and competitions. Getting creative will undoubtedly increase engagement and create a more interesting place to interact more closely with your followers. Celebrate yourself by applying for award ceremonies like the renowned CRN Awards and let your followers know how great your company is. Posting about these events not only shows off the services/products you deliver, but it’s also a great opportunity to join in on a trending conversation. Events like these gain a lot of attention on social media, so take advantage of this by posting live updates and pictures throughout the event. You can also take matters into your own hands by hosting your own exciting events. We’ve organised countless events for businesses, from luncheons to unique experiences, and have experienced first-hand how they can draw more people into your brand. Outsourced marketing is a great way to experience the benefits of great social media campaigns, without the hassle. Get in touch today.